The most valuable and lasting gift you can give a child is a deeply felt connection to the creative power of the Universe. Imagine if you could give children a spiritual toolbox to help them navigate every circumstance of their lives. 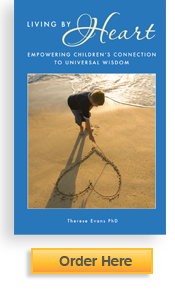 This book is an invitation to explore a heart-centered paradigm for parenting that introduces universal wisdom and supports children's Divine connection. Children can be empowered to be their highest and best, in harmony with the invisible Intelligence behind the visible world.